We invite organisations, institutions and other interested parties to become actively involved in Fish Passage 2018. There are differing levels of sponsorship with generous benefits on offer to participating organisations that reflect your investment and offer an opportunity to showcase your organisation to a global audience. Please contact Nitesh Patel at ASN Events – Nitesh@asnevents.net.au or +61 03865 9530 (AEST) to receive a copy of the Sponsorship Prospectus and discuss any bespoke packages to suit your needs, budget and objectives. 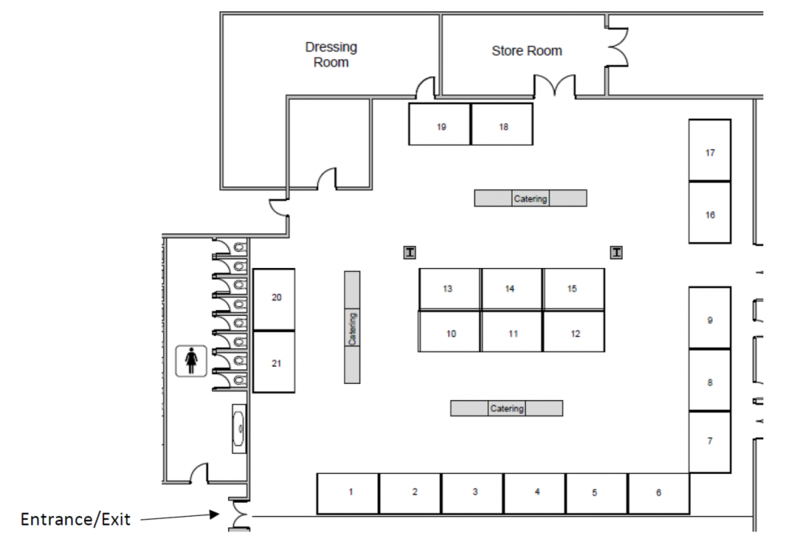 Please note that the exhibition area will be in a central location with all catering (tea and lunch breaks) held within the area to attract maximum exposure. Booths will be allocated according to sponsorship level and the order in which applications are received. Please note the floor plan was correct at the time of publishing. Please contact Nitesh Patel – nitesh@asnevents.net.au to determine whether there have been any changes. The exhibition will run from 11 – 13 December, 2018.